One of the most pleasurable aspects of being a Mason is visiting other Lodges and sharing in their meeting. When you become Master of your Lodge, your status is effectively elevated to that of Ambassador for your Lodge. Since Mark took over the helm of the Hungerford Lodge in mid November, he has been spreading the word about our little Lodge on the western edge of Berkshire. Hungerford is already recognised as the most active Lodge in the county with respect to Social Media. Mark is looking to put us back on the map as the most outgoing as well. He is being “trained” in the art of visiting by his long time friend Graham Reynolds. Graham is well suited to this mentoring role having completed a century of visits during his year in the chair of St Bartholomew Lodge no 6307, one of our sister Lodges. All washed down with champagne! He has so far also visited St Bartholomew, Victory and Theale on Holybrook Lodges in the Newbury family of Lodges. If you want to join Mark on his next visit, to the Loyal Berkshire Lodge of Hope no 574 meeting on Tuesday, you need to act quickly. Keep an eye on the Lodge Facebook page to find out where Mark is going next. 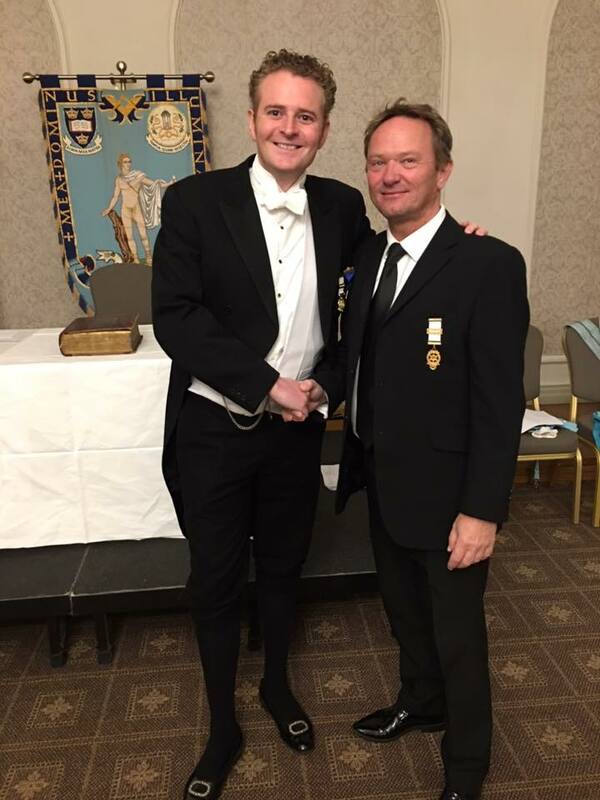 If you would like to invite Mark to visit your Lodge he can be reached via our Secretary.